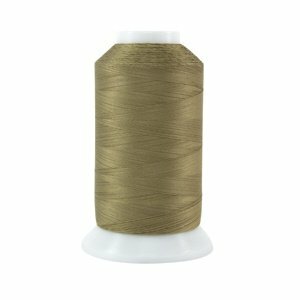 Designed with award-winning quilter Alex Anderson, MasterPiece is nature’s finest thread. Say goodbye to linty cotton threads and the mess they leave in your machine. We have 12 solid neutral colours in stock. Specifically created for piecing, MasterPiece creates smooth stitches and holds your fabric together without adding any bulk at the seams. We recommend piecing with a 50 wt. 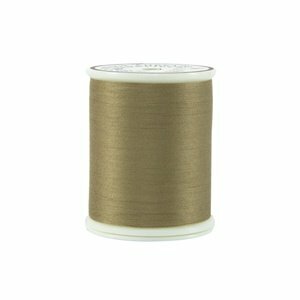 3-ply cotton thread, such as MasterPiece, because cotton can be ironed on high heat without the risk of melting. - A dozen solid neutral colours to blend with your quilt blocks. - Very smooth with virtually no lint, which means less time cleaning your machine and more time sewing. - 600 yd. spools and 2,500 yd cones are #50/3-ply while MasterPiece prewound bobbins are #50/2-ply. - The #50/2-ply prewound bobbins are excellent for hand appliqué. Longarm Machines: #16 (MR 3.5). Reduce tension as necessary.